The Danville Marble Top Square Counter Height Dining Table is just what you need to entertain in style. 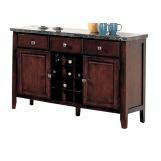 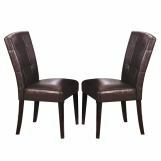 This unique and sleek Counter Height Table features a rich brown marble-top table, accented with an Espresso base and slightly tapered legs. 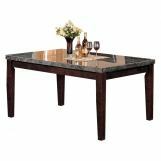 The black marble tabletop beautifully complements the espresso-finish solid wood frame, creating a piece that's a must-have for any modern home. 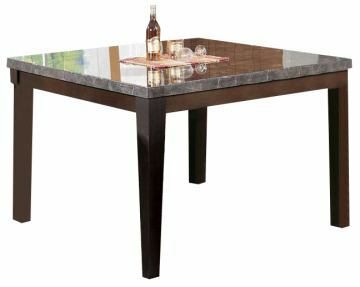 This table will make its presence felt in any setting - be it a suburban home or a city townhouse.